Grade 2 winner Eye of the Tiger has been pensioned to Old Friends, the Thoroughbred Retirement Center in Georgetown, KY.
Fifth in the 2003 Kentucky Derby behind winner Funny Cide, and winner of both the Affirmed and Washington Park Handicaps, Eye of the Tiger was retired from racing in 2006 with five wins from 19 starts and earnings of $535,679 for breeder/owner John D. Gunther. He has stood at Gunther's Glennwood Farm near Versailles, Ky. — which also bred newly minted Triple Crown winner Justify–since then, but was pensioned from stud duty in 2016. 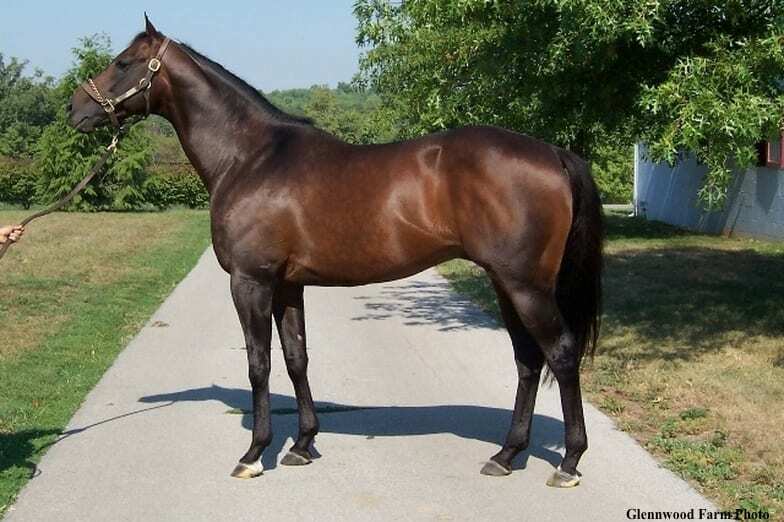 The now 18-year-old stallion arrived at Old Friends on June 27. “Eye of the Tiger he has been a long-time member of our horse family,” said Glennwood's Tanya Gunther. “He deserves the serenity that this home will provide him, which was a challenge to do at our small farm with the constant hustle and bustle of mares, foals, and yearlings. Old Friends offers guided walking tours of the farm daily at 10 am, 1 pm and 3 pm. Fans can visit with Eye of the Tiger and other well-know champions of the turf, including Kentucky Derby – Preakness winners Silver Charm and War Emblem. This entry was posted in Horse Care and tagged eye of the tiger, Glennwood Farm, old friends, tanya gunther by Press Release. Bookmark the permalink.